The deadline to vote for the primary election is August 1st. 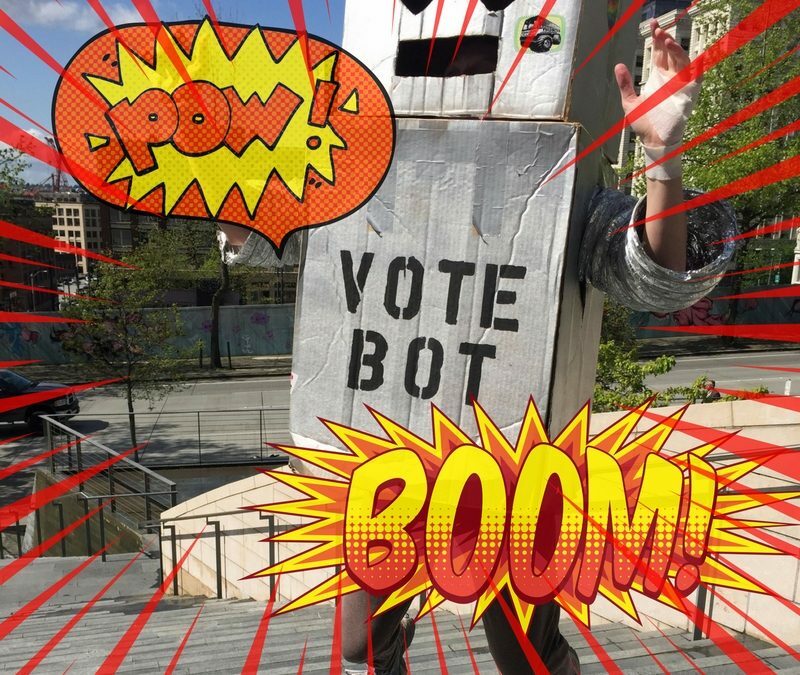 Don’t forget to mail your ballot or drop it in a nearby dropbox! Your vote really matters – in state and local elections just a few hundred votes can make the difference. If you live in Seattle, you’ll be helping to narrow down a crowded mayoral primary from 21 candidates down to 2! Plus, voting to determine whether we should create and fund a cultural access program expanding students and underserved populations’ access to arts, science, and heritage programming in King County, as well as voting on a county Executive and city councilmembers. The Bus was out this weekend doing our part to make sure young people are turning out for elections large and small. 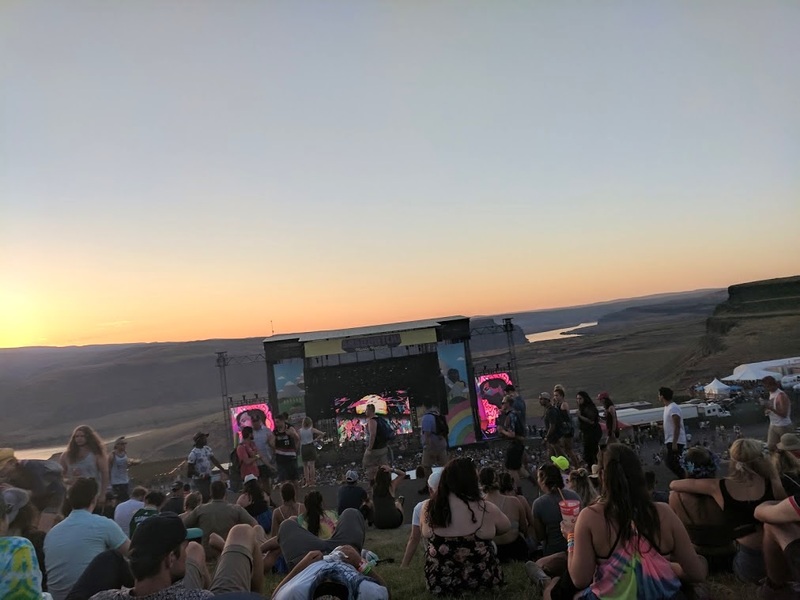 In order to make politics fun and accessible, we meet young folks where they are – and sometimes that means music festivals! 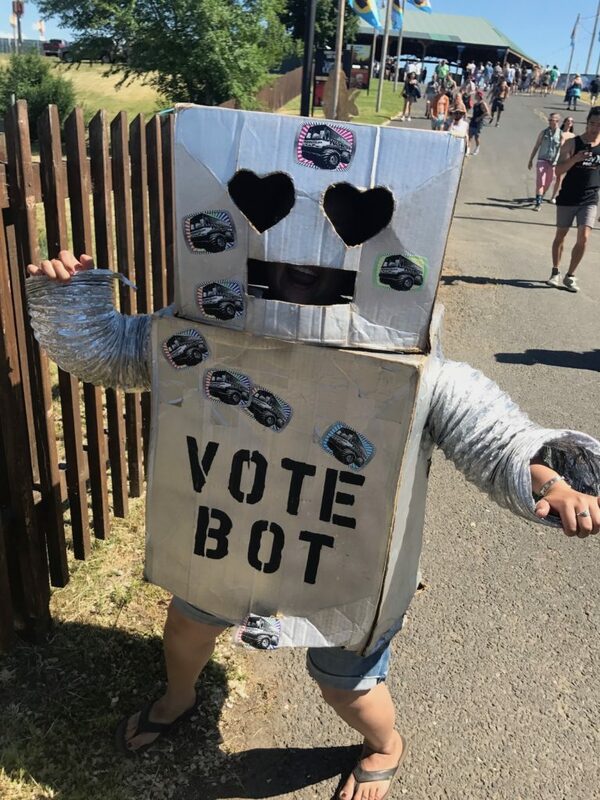 This past weekend the Bus brought out Fellows, interns, and a ton of volunteers to canvass at Capitol Hill Block Party, making sure young folks at the festival were registered to vote and reminding them to turn in their ballots. In the booth we had a station to make your own buttons, candy, and make-your-own-meme cutouts. 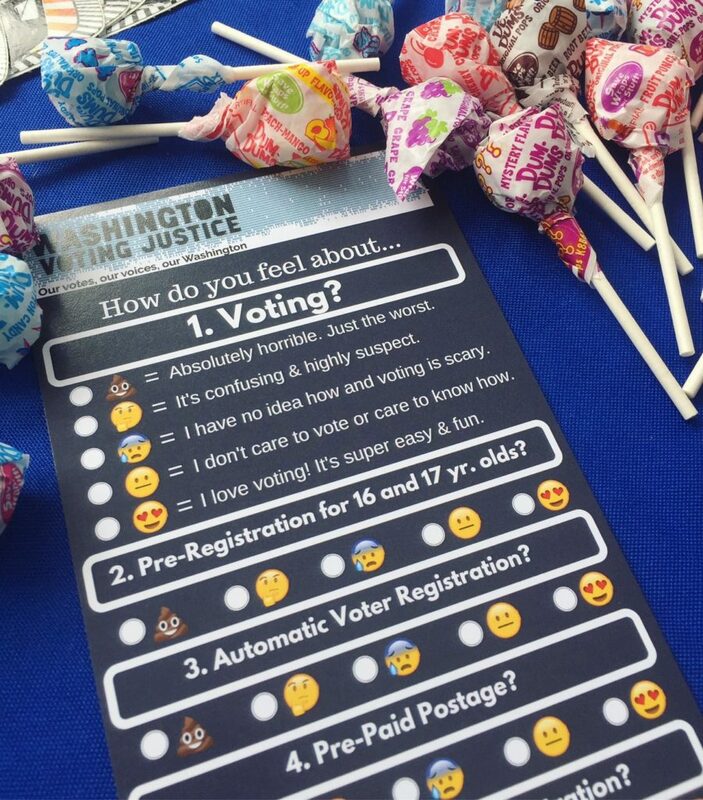 While people learned about the Bus and had some fun with us, we made sure their voter registration was up to date, reminded them to turn their ballots in, and engaged them around voting access issues with a survey gauging public support for several strategies that can make voting easier, such as pre-registration for 16 and 17 year olds, automatic voter registration, pre-paid postage, same-day voter registration and language accessibility. By gathering information on the survey, we hope that we can impact the voting systems and make it more accessible. *And it turns out emojis are a very effective tool of measurement everyone can relate to. Many people consider politics to be something serious and unapproachable, and we want to break down barriers that prevent people from fully participating in our democracy. We can express our values, achieve our goals, and make our communities better through voting. While we tackle serious issues, we still want to make sure people associate politics with something fun, something they want to be a part of. Here I ask again, please get out to vote! Voting matters to you. 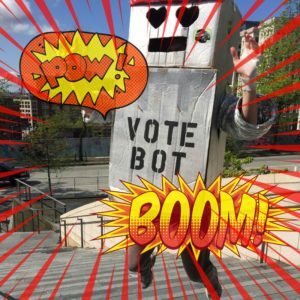 Voting matters to the community. Voting matters to the entire city and state. Let’s make our voices heard! This blog post was written by the Bus’s Duke Engage interns, Debra and Anqi. Everybody in this city is running for mayor. 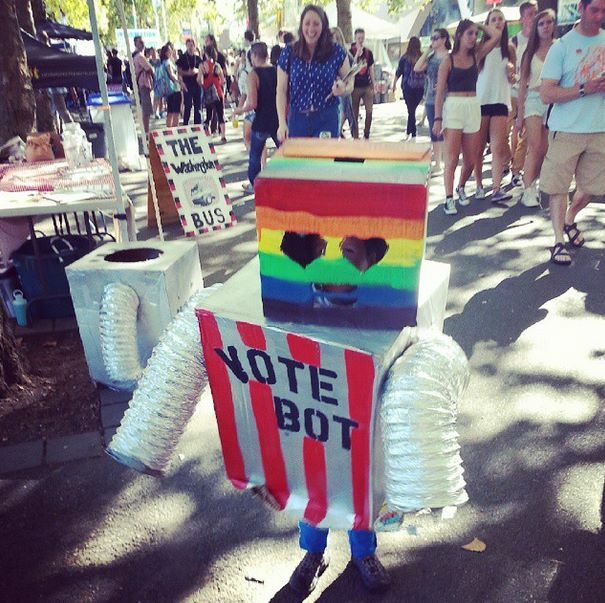 Back in May, after Mayor Murray withdrew his campaign for reelection, mayoral candidacies became more ubiquitous than fidget spinners. Seriously, from Larry “Oh Boy!” Oberto to the guy who Nazi salutes the city councilmembers, we have enough mayoral candidates in this city to fill a usually nearly-empty First Hill Streetcar. Now, I am nothing if not a trendspotter. After much consideration, I decided I couldn’t be the only person in Seattle without a campaign launch party. Imagine the embarrassment! So, as anyone would do, I jokingly announced a write-in campaign to run for mayor. Anyway, throughout the last two months of fake-campaigning for real-life mayor, here are the things I’ve learned about running for office. 1. Running for office is super expensive. It can costs upwards of half a million dollars to win a mayoral race in Seattle. For those of us in student loan debt, that number looks like this: $500,000. Where does that money go? Campaign staff and consultants, mailers, facilities rentals for events, all kinds of stuff. In fact, filing to run for mayor can cost about $2,000 alone. Unfortunately, I did not have $500k waiting to be spent (see above re: student loan debt) but neither do most people running for office. That’s why we have programs like the democracy vouchers for use in municipal (i.e. city) races, to close the gap between people who have or can raise that kind of money and people who don’t have as much easy access to that kind of money. Fortunately or unfortunately for me, I have years of practice living on a shoestring budget. I printed my hundreds of campaign stickers on Avery nametags that I got from Prime Now with a coupon code and gift card. I got over 100 bottles of beer donated to me for my campaign launch party. I borrowed a button maker to make campaign buttons. I printed my yard signs on the biggest sheets of paper my office’s printer could handle, and gluesticked them on to cut up boxes that once held ice cream sandwiches. All in all, I spent about $80 on my campaign materials, that’s a total saving so far of $794,657 compared to Ed Murray’s 2013 campaign. 2. I am excellent at campaigning. I worked with the Washington Bus for about 10 years, so I knew my way around a campaign. I’ve spent many summers surrounded by stressed out candidates and campaign managers, and I’ve gotta say this was much easier than I thought. Maybe it’s because I’m not trying to win, but most of campaigning was just hanging out at events and being charming. Aside from filling out surveys and raising money, it’s pretty much just flirting with an entire city and I am an excellent flirt. < But probably not as good a flirt as City Council Position 8 candidate, Dr. Hisam Goueli. Woof. A lot of campaigning is learning how to make any conversation about you and what you can do. As someone who grew up in a household with seven other kids, this comes naturally. When you’re competing for attention with that many other people, you either learn to be proud of your own accomplishments or seek out new ways to gain external validation. And I ran a fake campaign for mayor, so you can guess which path I chose. But this isn’t a blog post about my childhood development. This is a blog about Hisam Goueli’s delts. Or something. 3. Campaign events don’t need to be stuffy and boring. Not every campaign event needs to be a no-host cocktail hour where strangers have to make small talk or a listening session in a rented conference room. And not every candidate forum needs to be the same questions with the same audience. Were you at Candidate Survivor? If you were, I don’t need to explain this to you. If you weren’t, well, #vapeflute explains it all. 4. There’s no excuse for ugly campaign aesthetics. Can we talk about this? Can we talk about how boring campaign materials look? My graphic design experience peaked at high school Yearbook Editor, and yet I must say I’ve got some of the best campaign materials of any candidate – real or otherwise. I made them on Canva! The free version! 5. 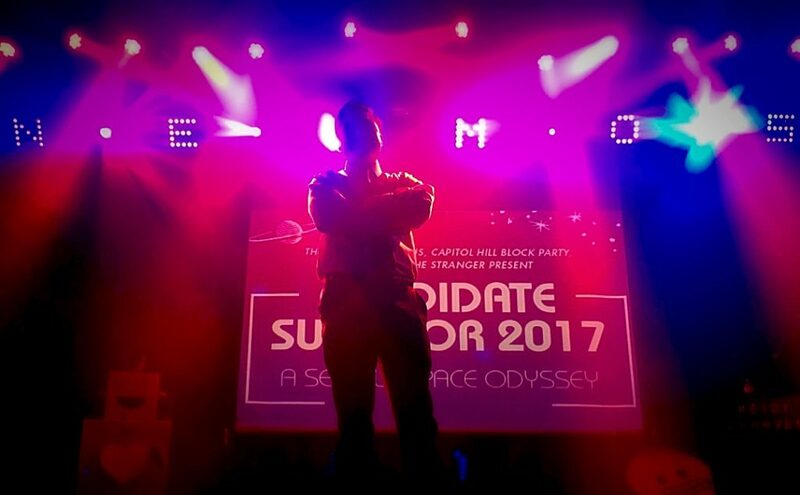 Seattle wants young progressive candidates. You would think that with 21 people making it to the ballot, we would have enough variety in candidates to call ourselves covered for the mayor’s race. It turns out people were actually super stoked to hear my (fake) announcement. Before finding out it was fake, people were offering to host fundraisers and events for me, connect me to possible endorsements, and even pay my filing fee! And only partly because I’m incredibly charming. It was mostly because Seattle needs more young progressive candidates. Yes, we have a few already in this race and in others this year. Still, I learned you can never have too many passionate young people with a vision for the city’s future. A packed Neumos full of mostly Millenials, ready to meet their candidates instead of playing golf. 6. You should run for office. I mean, why not? We’ve created this idea that a candidate has to know everything about everything, but candidates are real humans who are constantly learning about the issues and building teams of experts around them. You know how to do that. You know how to make friends, be charming, and speak from the heart. Sure, I didn’t actually run for office this time around. The most important thing I learned, however, is that the idea of my candidacy isn’t absurd enough to be an obvious joke. It’s a plausibility, a possibility, and with each passing day, a growing likelihood. I know now more than ever that you don’t run for office because you think you’re the best person for the job. You run for office because you know that the communities you’re a part of and that you have connections with, they deserve a voice. You run because there are issues that need to be talked about and nobody else will start those conversations. You run because if you don’t, who’s like you that will? So do it. Run a mayoral campaign on $80 or raise $800,000. Run for school board. Run for Insurance Commissioner (10 years in politics, still barely understand what the job does). Your community is waiting for you. 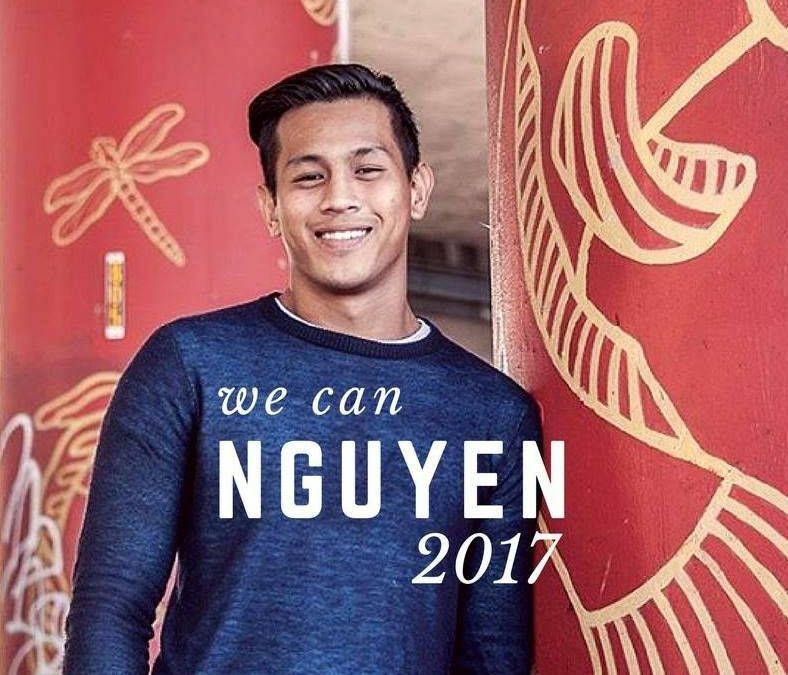 As more and more amazing young people run for office, I become more and more sure that together, #WeCanNguyen. Over 400 audience members watched enraptured as the top seven mayoral candidates answered questions ranging from their policy positions to their smoking habits. 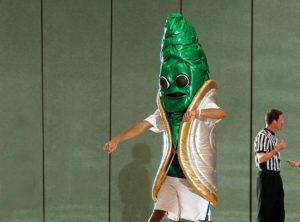 It was a night that left people both informed, entertained, and probably a little stunned. In the final moments of the Yes/No and spectrum round in which candidates moved from one side of the stage to the other depending on their policy stance, Mike McGinn, the reigning Candidate Survivor champion, won cheers from the crowd when he gave his “explain” card to Nikkita Oliver to expand on her stance on one of the questions. Still, McGinn as well as Jason Roberts were eliminated in the first round. 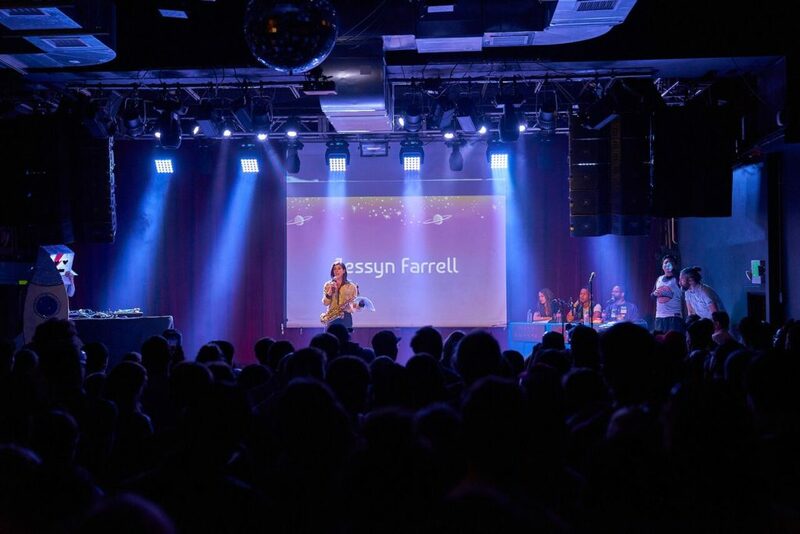 Jessyn Farrell played saxophone to Careless Whisper by George Michael, and replaced the original lyrics with her own lyrics asking the Stranger to endorse her as well as throwing jabs at the Seattle Times. Jenny Durkan impersonated Melissa McCarthy’s impersonation of Sean Spicer and mocked each candidate left on stage. Cary Moon made a PowerPoint as her self-proclaimed only talent and gave a “BED” Talk on how to run a mayoral campaign ending with a heartwarming message to just “Be Yourself.” Nikkita Oliver assured us through rap that “justice is just us being just.” At the end of the round, Durkan and Hasegawa were both eliminated. In the final round, only three candidates, Nikkita, Jessyn, and Cary, had survived. The three panelists asked them serious political questions respectively tailored to each candidate. 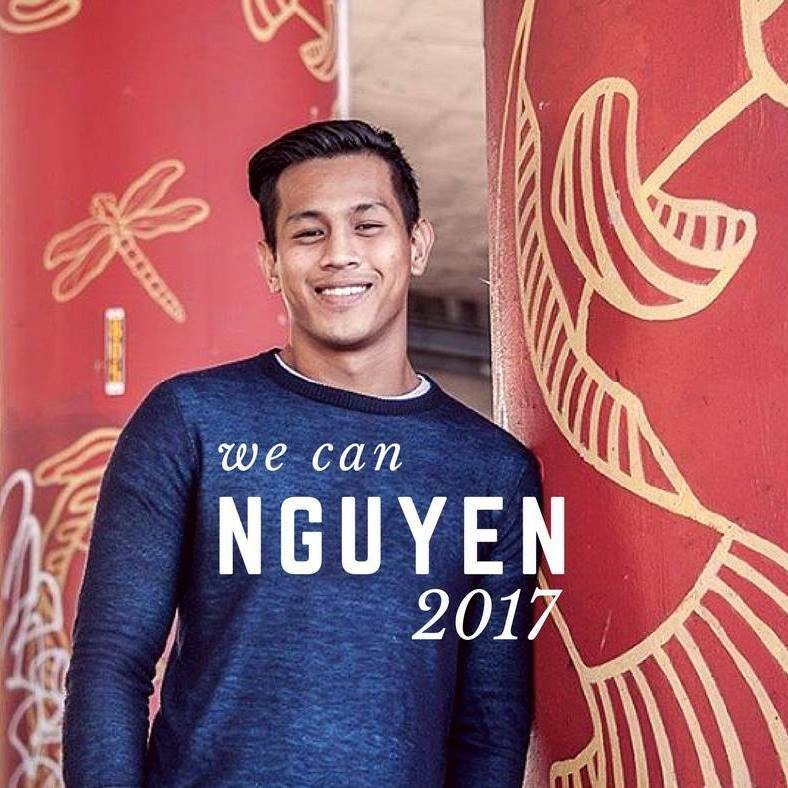 Considering the dilemma people in Little Saigon face, Jessyn believed that more grassroots organizations should engage in community affairs. She also expressed her determination to represent marginalized groups regardless of white privilege, and use her background and experience to serve the city. Cary, the urban planner and activist who is the largest donor of her own campaign, claimed that her wealth could save her time collecting donations and allow her to instead concentrate more on contributing to the city. Her proposal to collect real estate tax from non-residents and build four times more affordable housing won prolonged applause. Nikkita was asked who would she nominate as the head of Seattle department of transportation if she was elected. She planned to work with her competitors and do a national search for suitable candidates. She also wanted to prioritize more urgent tasks and allocate the city budget wisely in order to pay for more homeless shelters. In the final audience vote, Nikkita won Candidate Survivor. Candidate Survivor is a fantastic event which helps voters get to know their mayoral hopefuls in a fun and authentic way. It’s a great opportunity for people unfamiliar with local politics to get a rough picture of each candidate’s proposals and personalities… and maybe see a politician vape out of a musical instrument. Check out the buzz from the event on The Stranger, Seattle Times, Seattle PI, and Seattle Met! 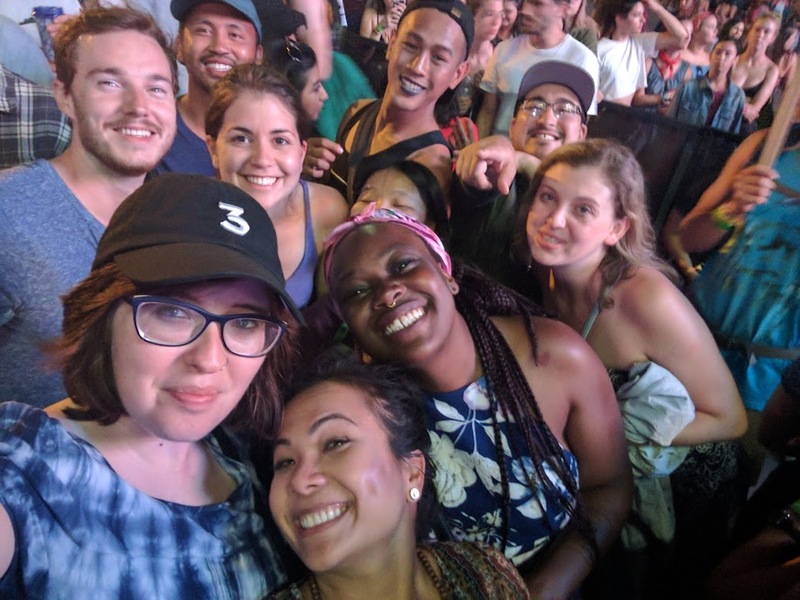 This blog post was written by Bus Duke Engage interns, Debra and Anqi. The Bustice League is an extension of our leadership development programs, seasonal internship, and sister organization’s summer fellowship. The Bustice League is open to people of all ages and experience levels. Have you already completed our fellowship program and want to get back on the Bus? Join the Bustice League! 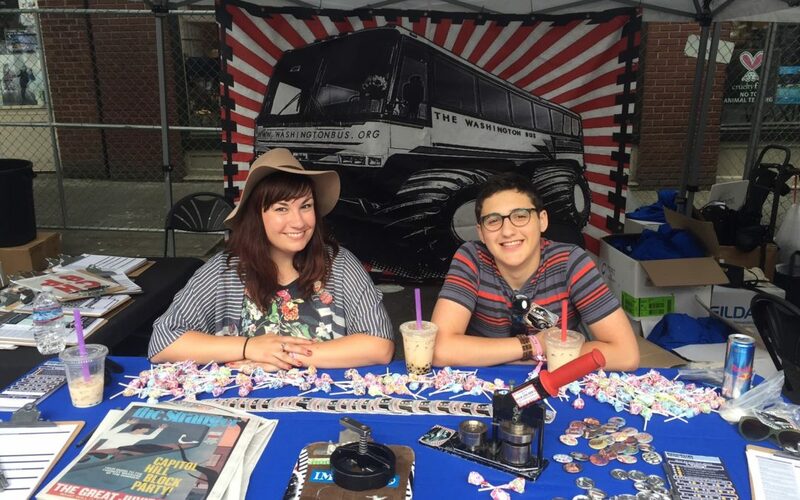 Did you just find out about us at Seattle Pride and want to learn more about volunteering? Join the Bustice League! We’ll have fun and meaningful ways for everyone to join. 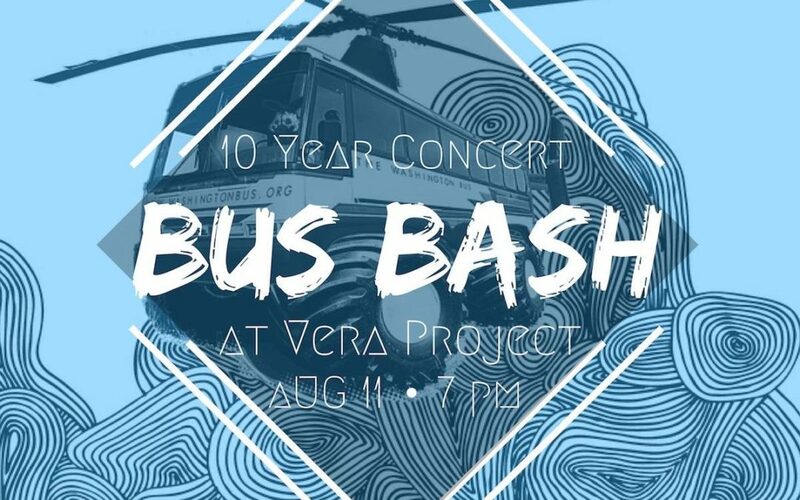 Bus Bash: 10-Year Anniversary Concert! This year is our 10-year anniversary and you know what that means – time to CELEBRATE! If there’s one thing we’ve learned over the past decade, it’s how to throw a rockin’ party. 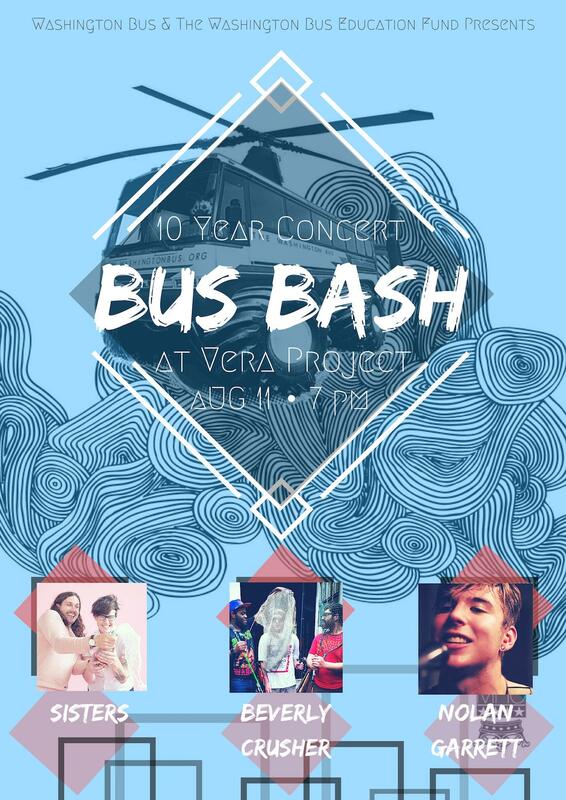 We couldn’t celebrate our 10th year with any old regular event.. that’s why this year’s Bus Bash is a concert! 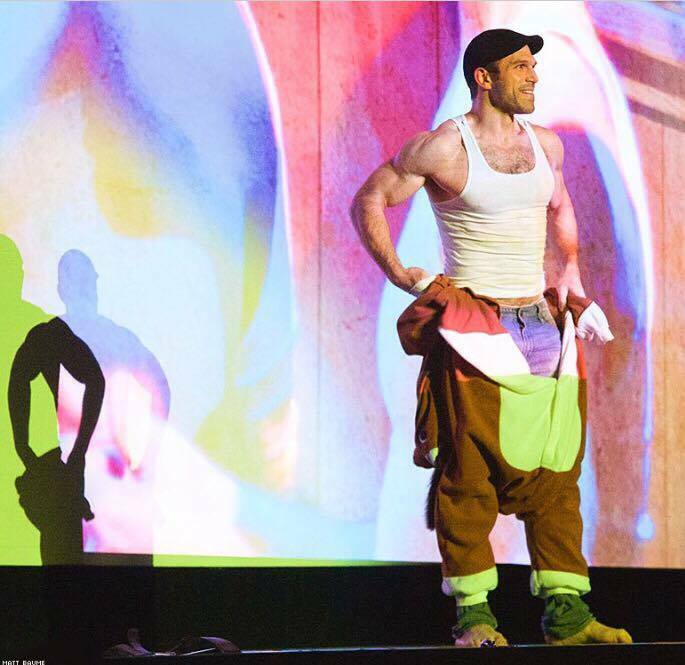 Featuring performances by Sisters, Beverly Crusher, and Nolan Garrett. All tickets come with dinner and drinks provided. 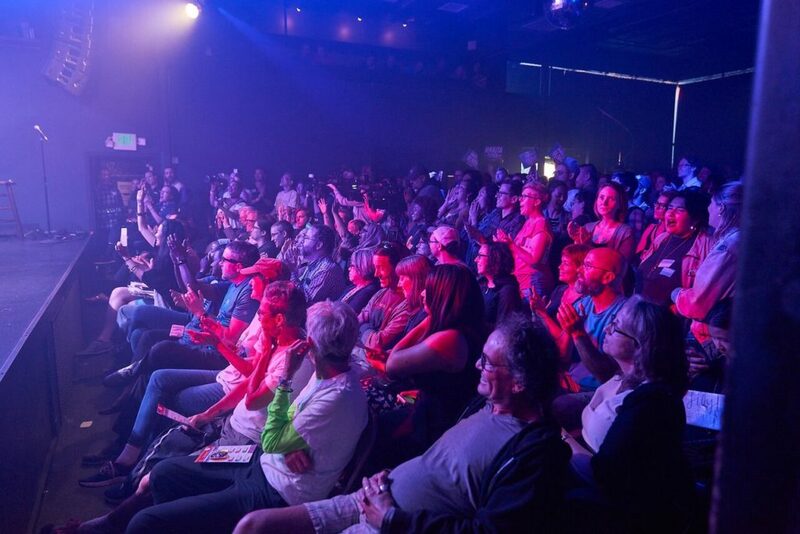 VIP and Co-Host tickets include exclusive event perks and automatic entry into our drawing! Interested in joining us a sponsor? Email Crystal Reed at crystal@washingtonbus.org. Memorial day weekend the Bus was out in force at the one, the only, SASQUATCH! 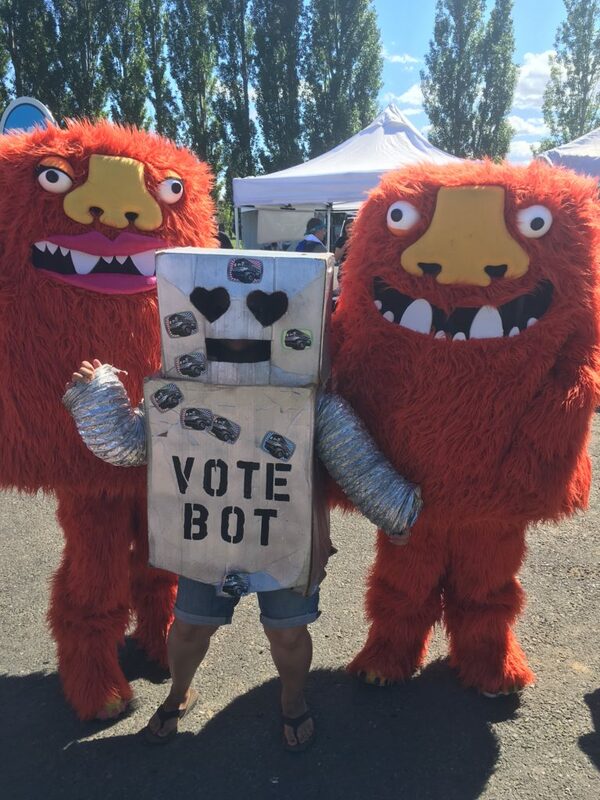 In addition to watching some incredible music and getting gnarly tank top tans, we talked to thousands of young people about the importance of civic engagement and registered voters in the sun! Check out some highlights below. Bus squad rolled deep with 5 staff members, 3 interns, and 8 rockstar volunteers (shoutout to former Bus staffer Sonny and the Service Board folks who combined forces with us for the ultimate #SQUADGOALS)! We registered 85 voters and collected 301 Pledge to Vote cards in just 3 short (jk, like the longest) days, and had great conversations with young people from around the state. 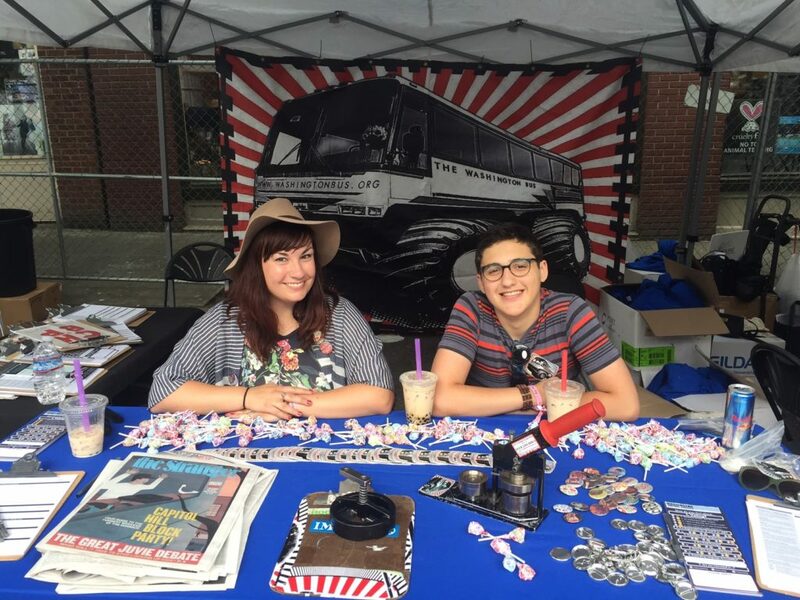 Meeting young people where they are works – we got 154 new volunteer sign-ups from people who are stoked to take their civic engagement to the next level and hop on the Bus with us!! 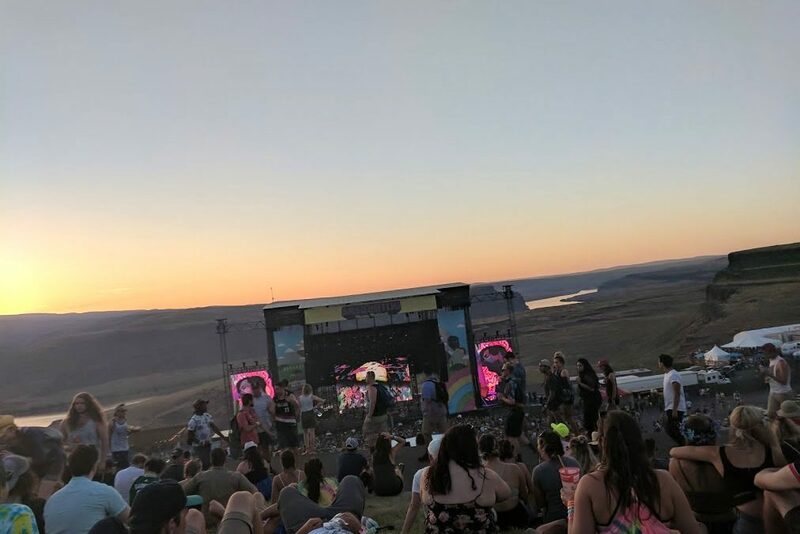 Every year at Sasquatch is fulfilling, exhausting, and a total blast. We so appreciate being able to be involved in the music and arts community to make sure young people know about the Bus!